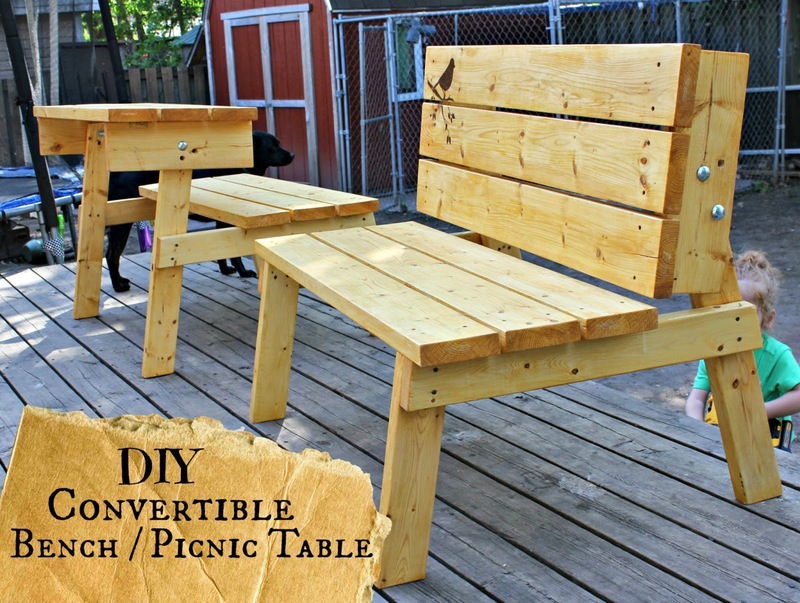 The Good Kind of Crazy: Convertible Bench/Picnic Table you can make TOMORROW! I was at the local greenhouse yesterday and saw them for $399/each! I did the cutting, a lot of the pieces need to be cut at a 10degree angle and I'm not sure the cutting boys can manage stuff like that. 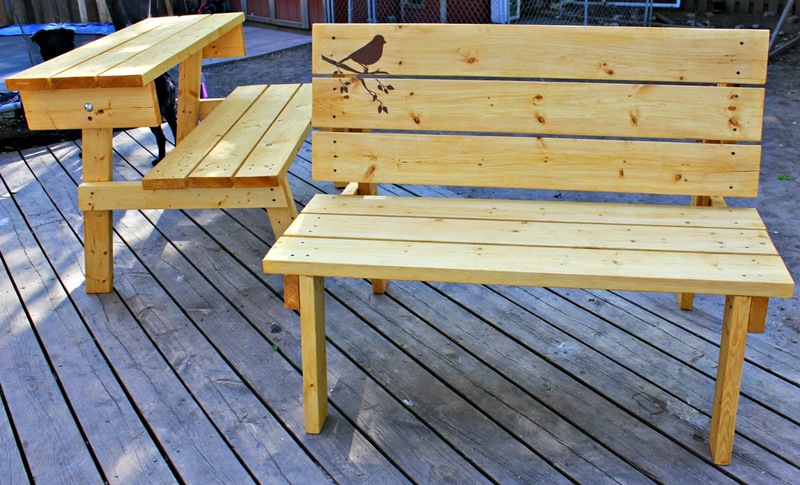 I bought a mitre saw at a yard sale last year (in Tweed) and used that for all my cuts. PS - why is "bought the lumber" in quotations? Haha! !